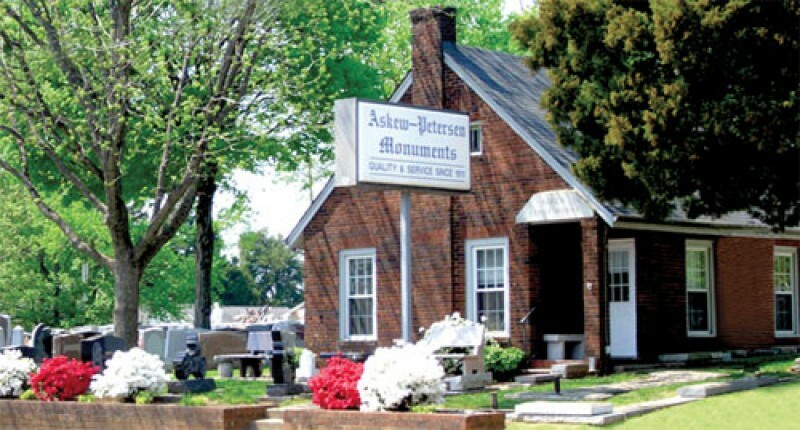 Askew Stone Works was established in 1911 by W.W. Askew and continued through the leadership of his son G.J. "Jiggs" Askew. In 1984 Eugene and Tammy Petersen began the third generation of leadership as Askew-Petersen Stone Works, Inc.
We are a full-service monument provider. We offer all types of stone, bronze and accessories, such as vases, portraits and benches. We are able to provide all types of service work, such as full renovation of cemeteries, cleaning and repairs. We work hard to provide a comfortable atmosphere in our office that assists our families in choosing a memorial and helping them as they work through the process. Please contact us if we may be of service.